..is 25 years old. Believes in Karma and loves idli/dosa. Thinks there is no film like Perfume. Loves her boyfriend; minimal electro + anything that’s above 140 bpm. Likes Deepak Chopra’s Buddha, Tinu Verghis, and painting portraits. Wanted to be a teacher as a kid. 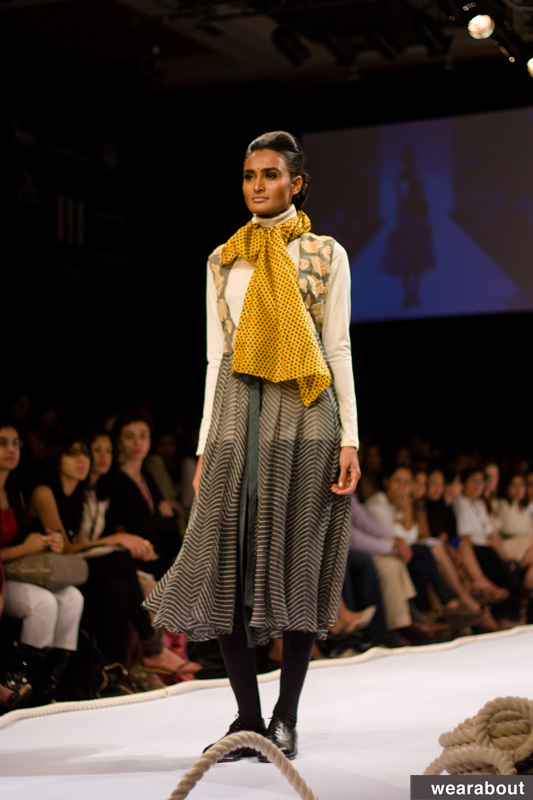 Likes Rajesh Pratap Singh and Sabyasachi. Is inspired by Sapna Kumar and Lakshmi Menon. Has a close connection with nature and prefers simple basic things. Her mom is her best friend. Her first show was for Prasad Bidapa at 18 for 750 Rupees…and has, so far, done about 500+ shows. I was, and have been a tomboy all my life. I tried to become ladylike in middle but I gave up. I grew up in an estate. Area around our house was vast, with mangroves all around, far away from the usual human intervention. My summer holidays were spent sitting on the trees, in my world, day-dreaming. That’s why I still connect to nature because I grew up in that kind of environment. In high school I knew I wanted to be a model. My mom was a little confused if she was letting me make the right decision..so we fought a lot. But I was adamant about what I wanted to do, and she eventually supported me. For about three and half years all I did was wake up late at 12, meet up with friends, start hopping pubs and places by evenings..do it till we’d see people jogging at 5am…and then home. Those were my hay days. But now when I visit Bangalore, in 4 days everything gets dreary, people get drabby. Long ago one could walk in a coffee shop and make 5 new friends with complete strangers..but that sort of thing does not happen anymore. Modelling and dealing with superficiality. I don’t fit the cookie-cut idea of a model. There’s nothing fair-skinned or doe-eyed about me. And I’m not trying to break or follow any conventions, or prove myself to anyone. So I just work towards absorbing as much as I can, doing what I feel is right for me, and living up to my own expectations. I think one has to work from within. Forget about the superficiality and find something deeper. I don’t want to change anything about the way I look, and surviving in this industry starts with that kind of belief in yourself. My reasoning is that perfection is so subjective, that you’ll never be able to please everyone. When I’m walking the runway, I feel like a queen. I am completely oblivious to what’s happening around me. I forget everything else. It gives me a high and I think it’s because I’m too passionate about it. I have never really fallen on the ramp but have made really weird expressions you know? The kind of expressions you make when you think you’re about to fall..but you don’t really fall? I’d say exposure, not in terms of media, but in terms of life and experience. If I hadn’t done this I’d have probably been an introvert. Meeting so many people in different phases..being around many creative people..seeing, studying, accepting many things, experiencing all sorts of insecurities, the pretty and ugly side, watching people grow..back out..come back – all that helped me to mould myself through the years. I’d have never been exposed to all this if I wasn’t modeling. I’d model for maybe for 3-4 years more. I want to start a business on my own. I don’t know what exactly. Maybe textiles? Maybe start a Chai bar? A clothes line? I haven’t studied fashion but I could do it with a friend. I love handicrafts and artisans. I feel they deserve much more than what they get. I’d probably market them abroad. Help build a business for them considering I’m a part of that industry. Then I would love to write a book. More like a biography. Things I have learnt and experienced as a model, as a person, being in this industry. I’d also probably work at a social home by the time I am 35. I want modeling to be a part of my life but not define it. I’ve no clue about fashion blogs. I rarely buy fashion magazines, and very rarely do anything that has anything to do with fashion. With internet I get bugged pretty quickly. I spend maximum 1 hour a day online and then I get bored. 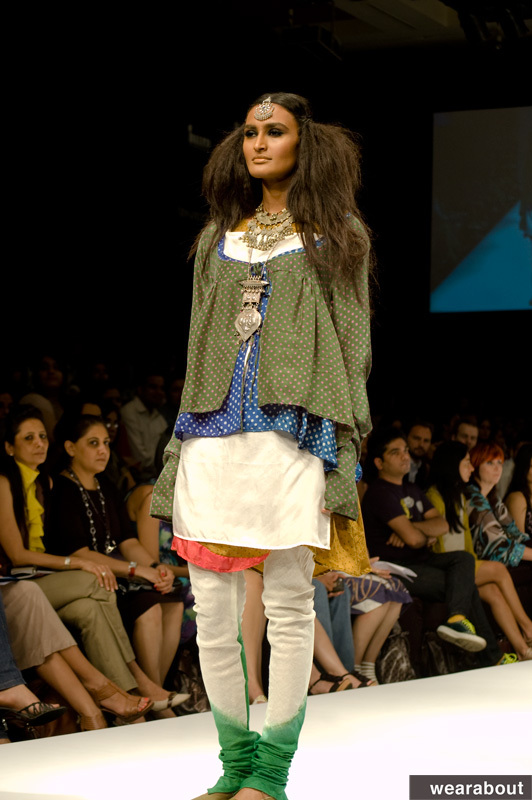 Runway photos: Myoho SS11. Sabyasachi SS11. Paromita AW10. 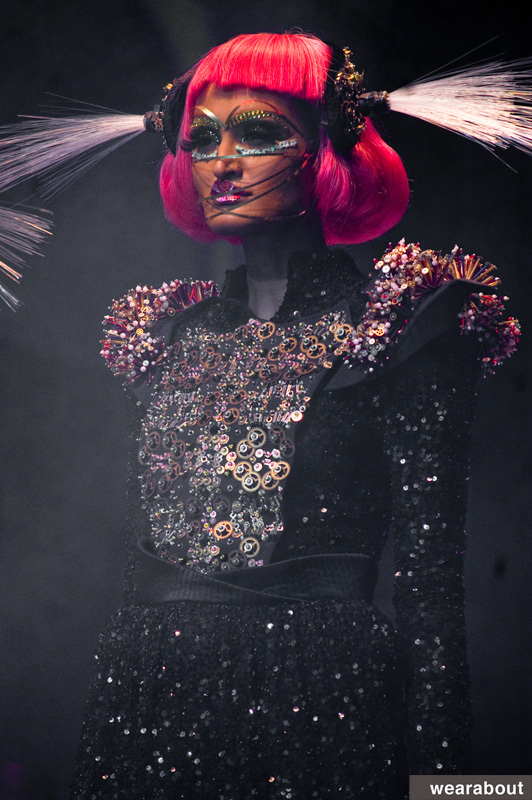 Manish Arora AW10. 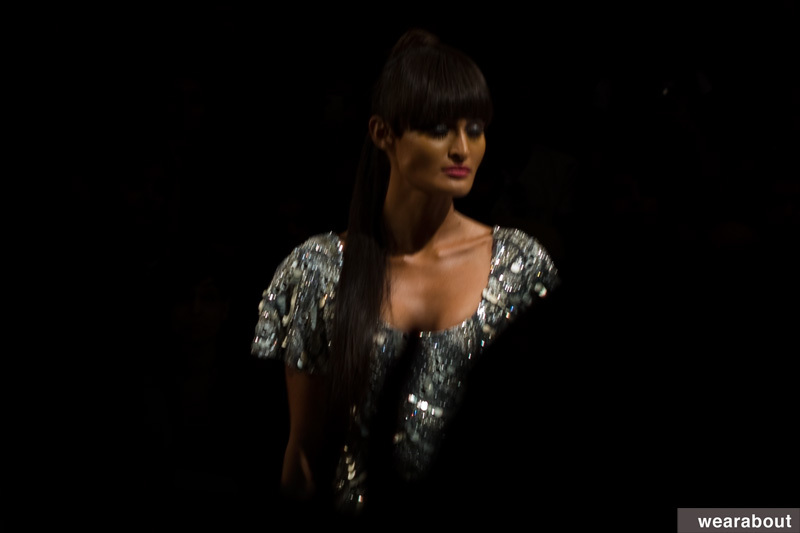 Manish Malhotra SS11 at LFW. This entry was posted on May 13, 2011 at 13:57 and is filed under 5. Fashion Weeks, 6. 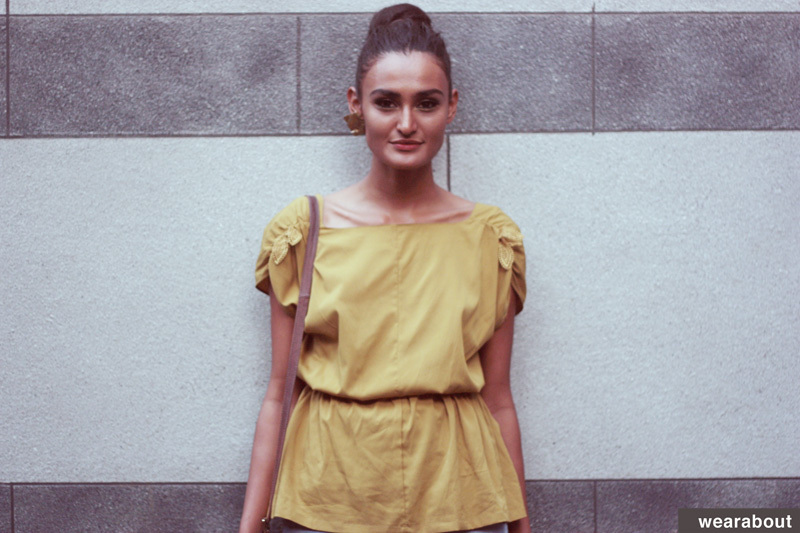 Profiles/Interviews, LFW, Rachel Bayros. You can follow any responses to this entry through the RSS 2.0 feed. You can leave a response, or trackback from your own site. its hard to find down-to-earth models…. kudos gal!!! I feel a lot of people in fashion have a fear of losing their mysticism, coldness is an alternative way to building an aura but Rachel is simple and that is her aura, her beauty, she is the HOT. need i say more.